Left Coast Rebel: The Press has Created a Monster: Why Should we be Surprised that Even Obama Thinks of Himself as Dear Leader? The Press has Created a Monster: Why Should we be Surprised that Even Obama Thinks of Himself as Dear Leader? I'll never forget the 2008 election. The media Obama circus was something that even I never would have expected to witness in America, truly fit for a third world nation. One particular incident in early-to-mid 2008 comes to mind. My wife and I made a trip to the local Wal Mart to grab some odds and ends...I meandered by the magazine aisle, my jaw dropped by the spectacle in front of me: every single magazine (home decor, gossip, finance, entertainment, etc.) was plastered with Dear Leader-esque Obamamania propaganda. 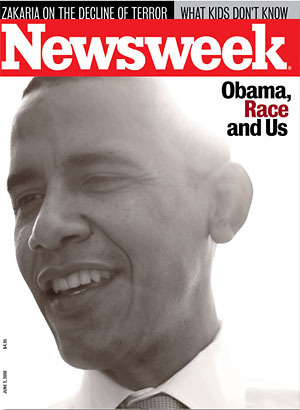 I recall another Time Magazine cover glowingly reading, "When Barry Became Barack." Three years later not much has changed. The media has created a monster. Should it come as any surprise that he thinks he's the omnipotent Dear Leader, too? Obama's statement to a group of youthful supporters his people reveals a recent Dear Leader moment. I'm just so grateful that He has graced us with His presence. What a lunatic! Also, what a liar! This man contempt for the American people and her culture is beyond anything I've ever seen, and I'm sure most other than in hostile foreign countries, and he wonders why there are Birthers. His supporters are behaving like cult members. If anyone want a scary example where we are heading with these supporters and this President, watch National Geographic's Inside North Korea. The way the people WORSHIP John Kim Ill is freaky, if not downright scary. They not only gravel over his photo (as every household is mandate by law to have), but the statement by the blind Grandma actually rattled me, as she was depressed for being blind because she couldn't see the picture of their dear beloved leader (I turned it off after that, I couldn't take it anymore). You look at the BO supporters and everything this man does and believes in, this is what he wants us to become. He truly thinks he's a messiah. All people in power have egos, but history shows when those egos are fed (and all to willingly by the people), things don't end well for the nation.